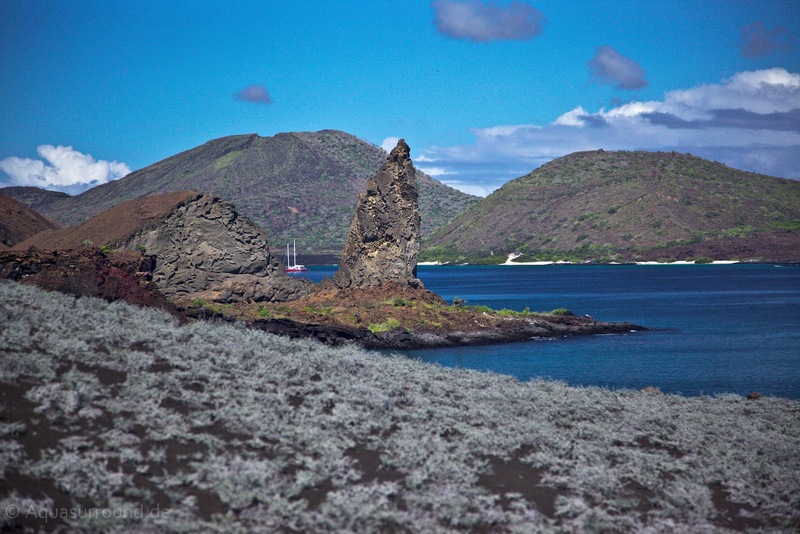 Here is another photograph of the steep stairs built on Bartolome, along with indications of the spatter cones from the volcano that formed the island. 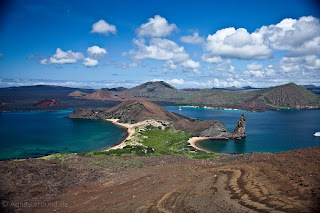 Pinnacle Rock itself is a distinctive volcanic cone, formed when magma was expelled from an underwater volcano. As the sea cooled the hot lava, it exploded and reformed into a huge rock consisting of many thin layers of basalt. 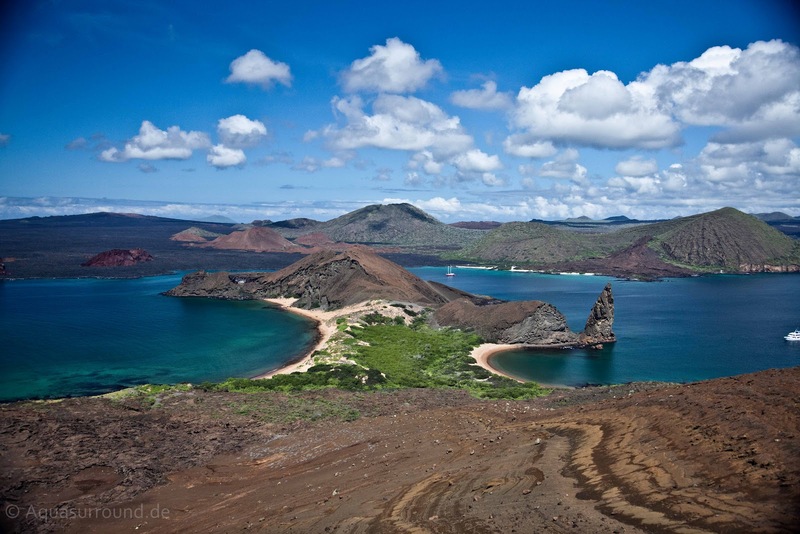 There are two beaches within walking distance from one another on Bartolome. They are just as beautiful and enchanting as the view from the top of the island. The white crescent beach is lovely for a walk and is the nesting site for sea turtles. The nests can be seen near the top of the beach and are distinguished by their shape and the repetitive mounds of sand. A short walk through some endemic vegetation leads to another non-swimming beach with stingrays, Spotted Eagle Rays and Black-tipped Sharks. 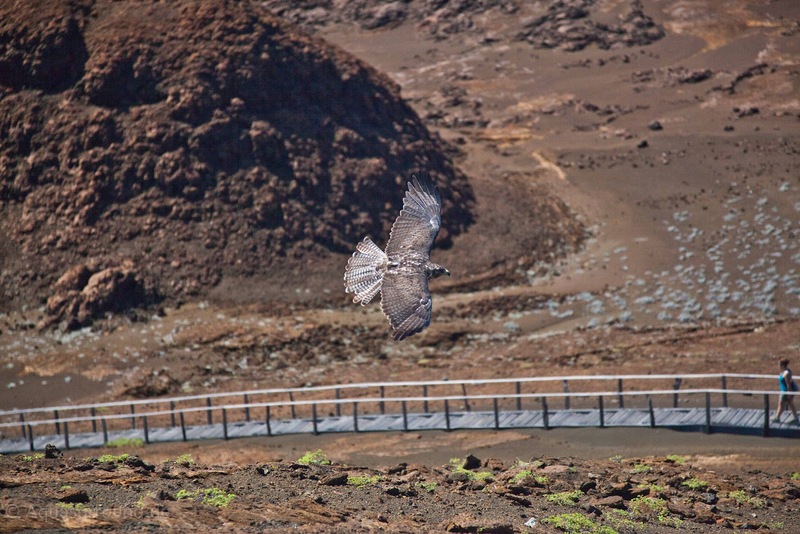 On Bartolome, visitors will be delighted by bird watching and are likely to see Galapagos Penguins, herons and hawks. 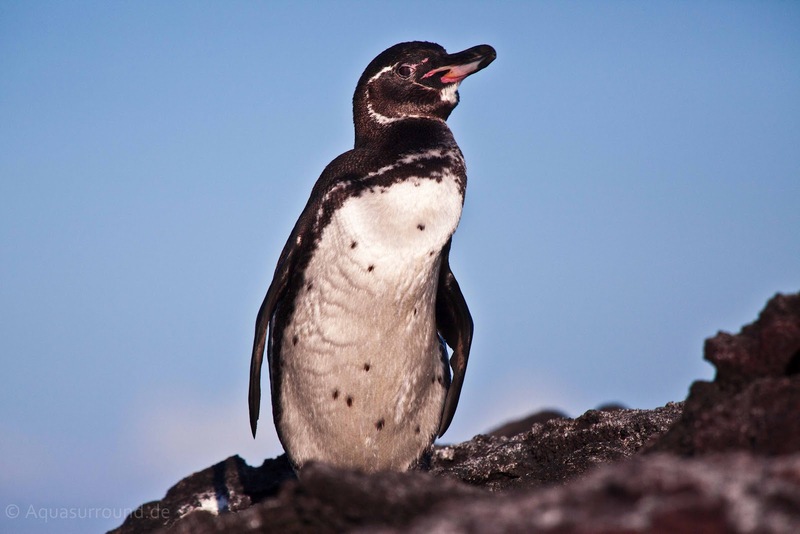 While snorkeling, White-tipped Sharks, penguins, sea turtles, rays and many tropical fish are likely to accompany you. The places are really impressive. I love to have a vacation in there. Thanks for the post. On the off chance that you choose to free solo, be extremely tired of the climate.discover this info here The climbing might go fine and dandy and after that it downpours.